Some breeds of dog are naturally more noisy than others. But on the whole, noise is not the communication method of choice for dogs. 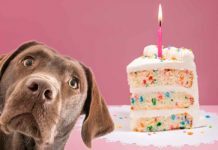 [wp_ad_camp_5]Dogs prefer to communicate through body language. 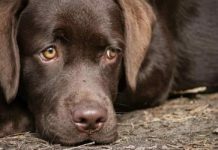 Unfortunately, we humans are not great at reading and discriminating between the often subtle signals that dogs use to convey emotion and intention. As a result, dogs will often resort to vocalising in order to cross the language barrier between us. 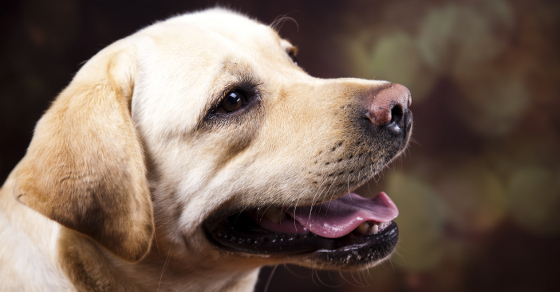 Labradors are not a particularly noisy breed by nature.Yet from an early age, people tend to teach their Labrador puppies to be noisy. This is understandable because we love to communicate with sounds. Language is terribly important to us. 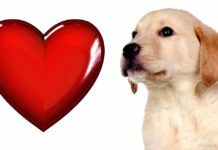 [wp_ad_camp_2]And we tend to respond positively to every little noise our puppies make. In the space of a very few weeks, many people teach their new puppy to make a rich and varied repertoire of yips and yaps, barks and whines. They then spend the next few years trying to turn them off! Prevention is of course a good deal easier than cure, but most noise problems can be cured with patience and a little effort. This is a gentle system of behaviour modification that reduces noise by deliberately rewarding and reinforcing periods of silence. These are very short periods to begin with, and are gradually increased in length as training progresses. It is great for dealing with whining in the crate at home and in vehicles. I put most of my puppies through some version of the ‘Click for Quiet’ programme, check out the link for more information. It is all too easy to inadvertently reward noise. We tend to forget that many of the things we do with our puppies act as powerful rewards. Opening doors to let puppies outside, putting a lead on a dog. Letting the puppy out of a car when we reach the woods, opening his crate, all these things are highly rewarding in addition to the more obvious ones such as throwing a ball or feeding him his dinner. At some point, someone probably taught the Labrador in the photo above that the best way to get another fetch of his ball, is to bark until someone throws it for him. It is very easy indeed to slip into this habit when your dog is quite small. So if your dog is barking or whining, it is your job to make sure he does not receive any of the above rewards, or any other reward, whilst he is making a noise. This takes patience because initially, he will try even harder to get the response he is expecting! 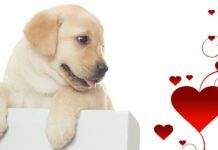 [wp_ad_camp_1]Behaviourists have long known that putting a behaviour on cue, that is to say, teaching the dog to do it ‘on hearing your command or signal’, may reduce the dog’s enthusiasm for exhibiting the behaviour spontaneously. So, perhaps surprisingly, teaching a dog to bark on command, is actually helpful in reducing barking overall. We’ll look at this strategy in more detail later too. It is much easier to avoid a puppy growing into a noisy dog than it is to cure a noise problem. 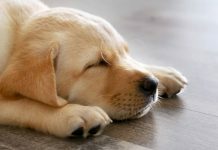 The first two strategies mentioned above: reinforcing silence, and removing rewards for noise, are great ways to prevent puppies from becoming noisy in the first place. Watch this space for more information on these techniques! 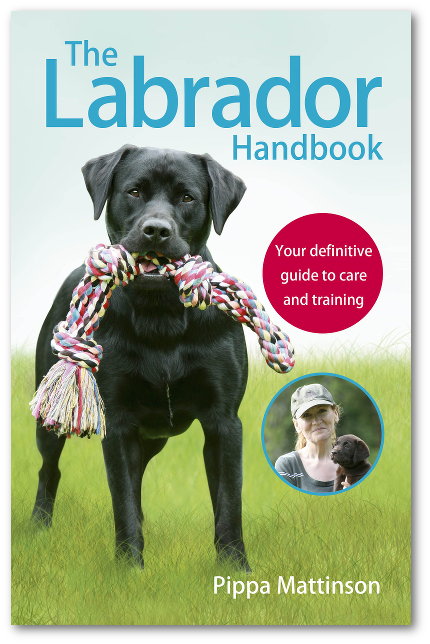 If you enjoy Pippa’s articles, you might like her new book: The Happy Puppy Handbook – a definitive guide to early puppy care and training. 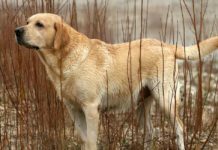 Previous articleSo You Want Your Labrador To Be A Stud Dog? We have a 5 1/2 -month yellow lab that has recently started barking out in the street when I take her out for potty breaks or walks. She barks at people making noises taking out their garbage or strangers in bulky coats and hats that mostly cover their faces – we live in a northern climate. She does not bark when she sees other dogs. What can we do to stop this behavior? We have taken steps to socialize her and make sure she is properly exercised and stimulated; she is generally friendly to people, but when she barks out of the blue it is embarrassing and I am sure bothersome to our neighbors. Our year old choc lab is making wining noises and when u talk to him he starts barking. He has company all day we are retired. he has exercise everyday he’s been checked at vets and nothing wrong. Hi my lab is 7 months and really good all day and sleeps well at night, but we have a real issue in the evening. Just when we’ve got the kids to bed, the minute I sit on the sofa he starts. If in crate he barks, if I let him out he jumps and runs around the room like an idiot! He been walked, done all he needs to do etc, he just gets hyper in the evening! He’s got toys, Kongs, chew toys etc. I’m with him most of the day so it’s not like he’s seeking attention, but he is! Any tips to calm him down at that time so I can watch TV at the end of a long day? I have a 3 months old pup and he is mostly well behaved except when food is involved. He yelps/barks non-stop when we are eating and he doesnt get to, doesnt matter before or after we feed him; as long as he doesnt get to eat when we are, he yelps, very loudly. Our dining area is only separated by a glass door therefore he can see us so unless we eat in the bedroom he won’t stop making noise. Usually we keep him out or tether him in the house, either way wont stop him from yelping for food. And now that the noises have annoyed the neighbors, what can we do? About a couple of months after we rescued a Pitt of the same age, Bailey, our chocolate lab started becoming very vocal. That is when she wants me to toss her ball. If Zeus, the Pitt, is not around this does not happen. It’s as if she is saying “don’t throw the ball for him, throw it for me!” Because of over breeding, Zeus has trouble with the big indestructible ball so he is content to run along side her and has no interest in catching it but she sees it as competition. Fortunately she stops barking on command but she does not get the ball. I put it up. Seems to be working so far and she is doing it less. In fact we just got over a barking session and she is sitting calmly at my side, pressing her body into me and seeming quite content. Do you ever recommend in using a bark collar? We have a 4 month old chocolate lab and she loves to hear herself talk, especially if she doesn’t get her way. We try to not let her get over excited but its very hard. A very interesting article. I am hoping to get a puppy soon, so now I know what not to do! Our lab is nearly 14 and has started to bark a lot recently if he’s not getting enough attention mainly if were watching tv . Well done Pippa, Great article, i have learnt a lot. Thank you.